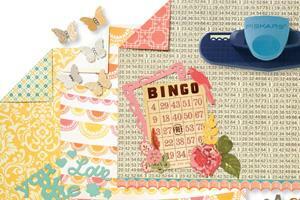 Make the most of your patterned papers, punches, paint, stamps, and more! 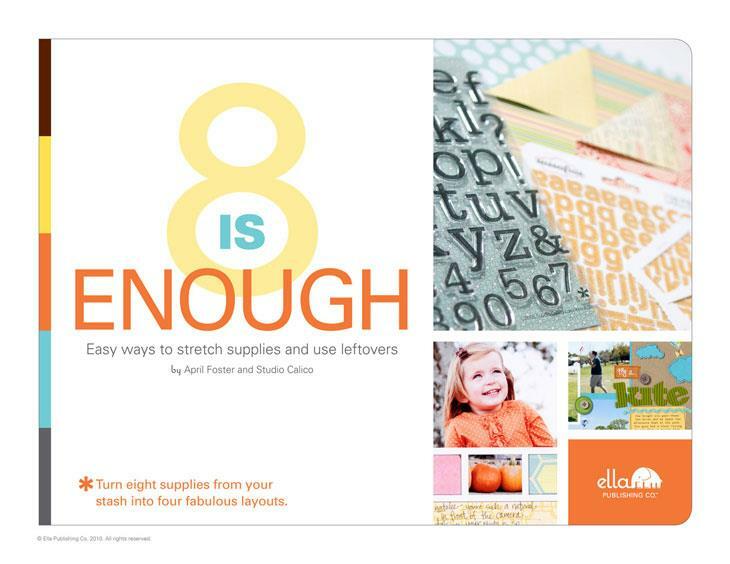 In Eight is Enough, five seasoned scrapbookers prove that a little can go a very long way. The challenge: create four diverse layouts with just eight products from your stash of leftovers. (Basics like cardstock, a trimmer, and fonts count as "freebies.") Do you think you could do it? These five designers are here to show you how easy (and freeing) limits can be! Their innovative tips, tricks, and techniques will help you save a bit of cash and use up that stash. And on top of that, you'll also have a blast learning new ways to scrimp and save. 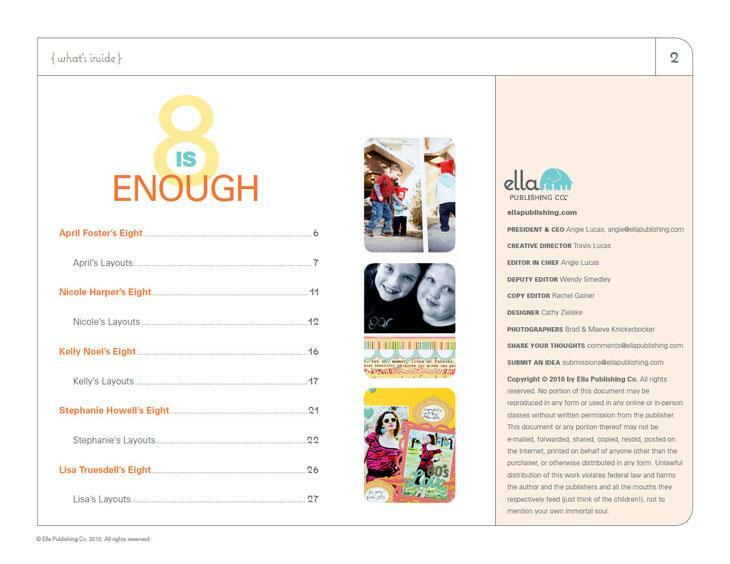 Abundant proof that 8 is enough! 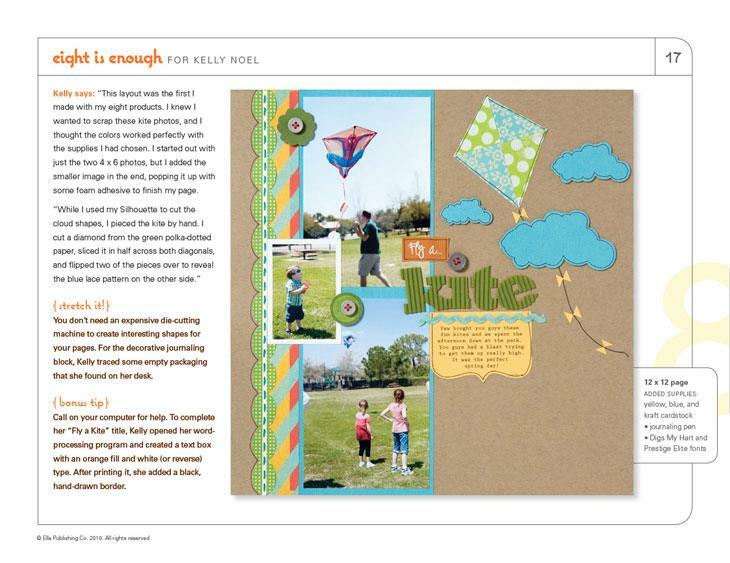 April Foster is the owner of the successful Studio Calico monthly kit club. She lives with her husband and children in Bowling Green, Kentucky. 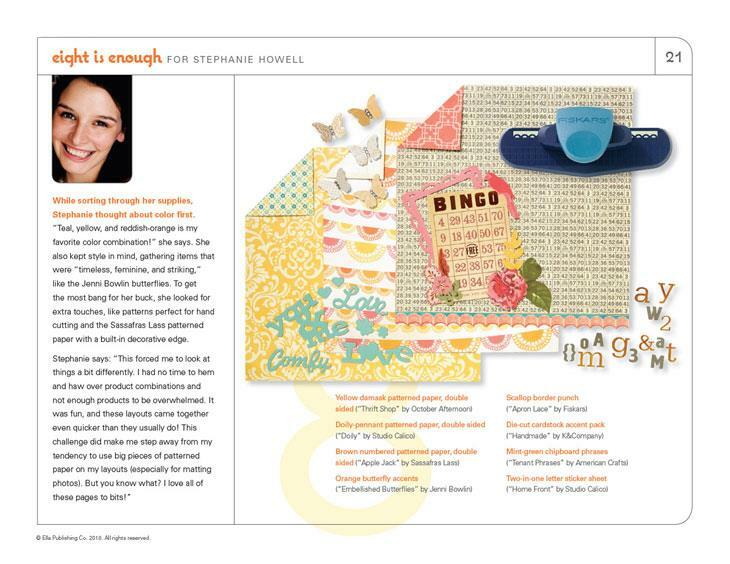 April's creative partners in crime are Nicole Harper, Stephanie Howell, Kelly Noel, and Lisa Truesdell—all members of the Studio Calico design team.